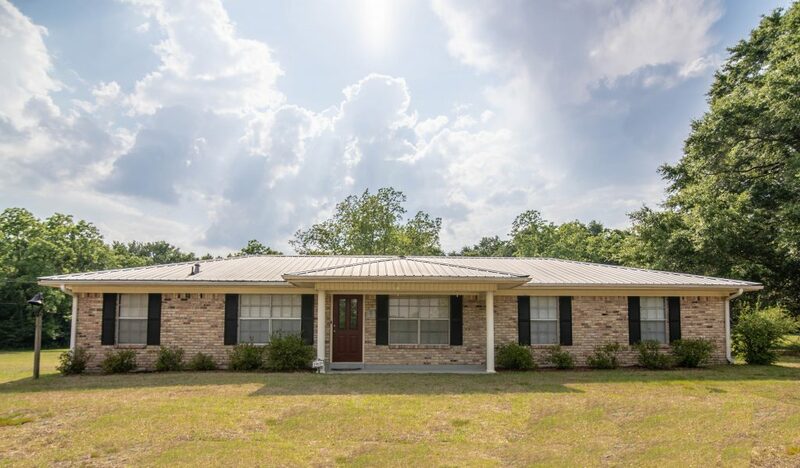 Ranch Style Home For Sale In Fairhope, Alabama! Oak and Pecan trees galore, tire swing and tree house heaven. 5 acres of beautiful peaceful, privacy property centrally located on State Highway 181 in Fairhope. You can easily head south to the beach and north to shopping. Walmart is right around the corner for convienance , yet you still have a country feel. This brick ranch sits off the road, yet there is still plenty of room to expand or build something new. Watch the sun rise off your front porch and set off the back porch. This custom, solid built home has gorgeous split brick floors in the kitchen with gas stove and stainless steel refrigerator. 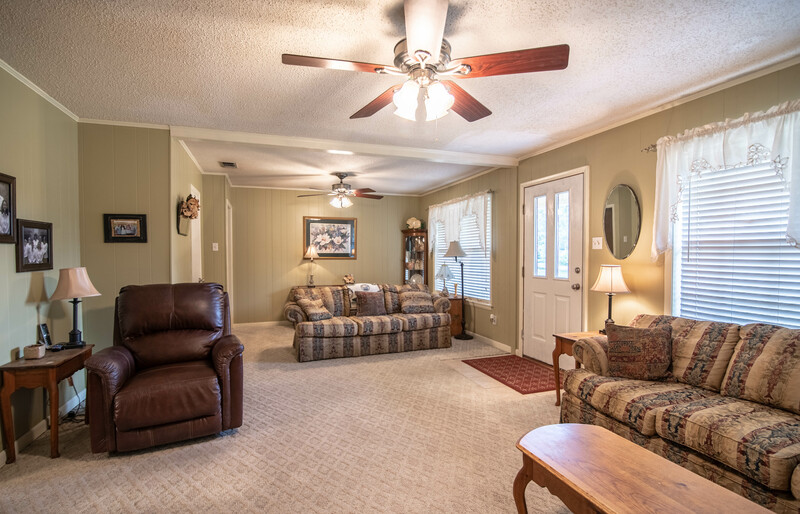 The large living room holds plenty of family and friends for your gatherings. Spill over to the cozy, sun filled dining room to enjoy those home cooked meals. The 3 bedrooms on the north side of the home make this house complete. The newer metal roof looks great and makes for maintenance free living. The large back porch is a great place to hang out and listen to the sweet sounds of a summer rain shower on that metal roof. Country living in the City at it’s best!